As a general rule, you probably don’t spend a lot of time thinking about functional bathrooms or ancient plumbing innovations. But indoor plumbing has a longer history than you might think. In fact, the history of plumbing goes back to ancient times. The Indus Valley Civilization was a Bronze Age civilization found in South Asia, lasting from 3300 BCE until 1300 BCE. 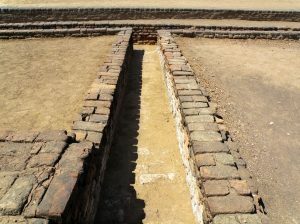 Standardized earthen pipe systems found in their urban settlements are one of the earliest examples of ancient plumbing. Wells within buildings and drains in the floors of bathing areas are some early innovations. In addition, they had bathrooms with septic tanks, very similar to modern day bathrooms. Earthen pipes used as part of sewer systems helped with both rain water and waste water in Chinese cities as far back as 4000 years ago. Similarly, hollow bamboo reed carried fresh water to and from ancient salt mines. The city of Babylon was one of the most magnificent cities of ancient times. King Nebuchadnezzar II, around 600 BCE, had an extravagant palace with separate bathrooms and elaborate drainage. He even had latrines with raised seats all connected to a covered sewage system. One of the Ancient Wonders of the World is the Hanging Gardens of Babylon, reputed to belong of King Nebuchadnezzar II. While the location of the Gardens remains disputed, there are numerous accounts of the Gardens themselves, as well as gardens throughout the region. All of these gardens would have needed an extensive irrigation system to deliver water to the gardens from a nearby water source. 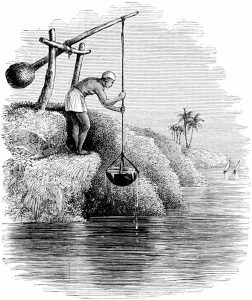 A combination of canals, dikes, pipes, and shadufs (a wooden beam with a fulcrum and a bucket on one end used to lift water to elevated troughs) were used to deliver water where it was needed. Many of these ancient plumbing systems have crumbled with time and are no longer functional. 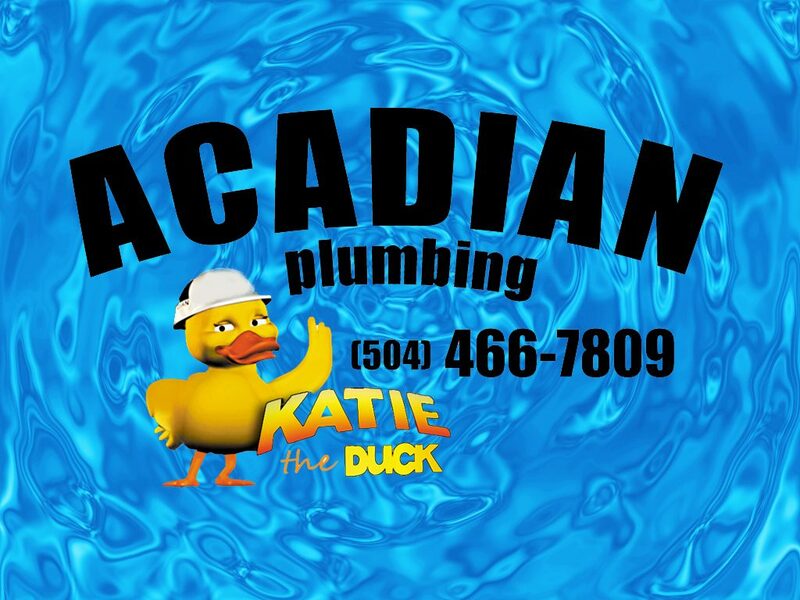 Let Acadian Plumbing help you keep your plumbing system in top condition. Call us today for all of your plumbing needs.